HHRx is back for 2019! Hometown Hangover Cure is back for SXSW 2019! Enjoy Bloody Revolution Bloody Mary’s and live music from the Peterson Brothers and Nakia & the Blues Grifters . Our favorite Frito Pie and custom screen printing shirts will be returning as well for guests to enjoy while mingling with other attendees. 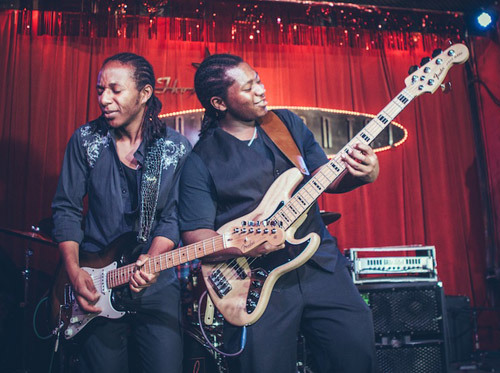 Led by Glenn Jr., 21 and Alex, 19, the Peterson Brothers have toured throughout the United States, and had the opportunity to play with and open for the likes of Gary Clark Jr., Robert Randolph and the Family Band, Kenny Wayne Shepherd, Buddy Guy, the late B.B. King and other musical greats. Austin-based, Alabama-raised singer/songwriter Nakia has a heart that beats to the rhythms of Muscle Shoals soul, pumping blood infused with Stax funk to cells lined with Chicago blues grooves. His vocal talent is the kind that instantly turns listeners into fans — among them CeeLo Green, who invited Nakia to sing on his Muppets Christmas special. Nakia was a Top 8 Semifinalist on CeeLo's team during the first season of 'The Voice' on NBC.